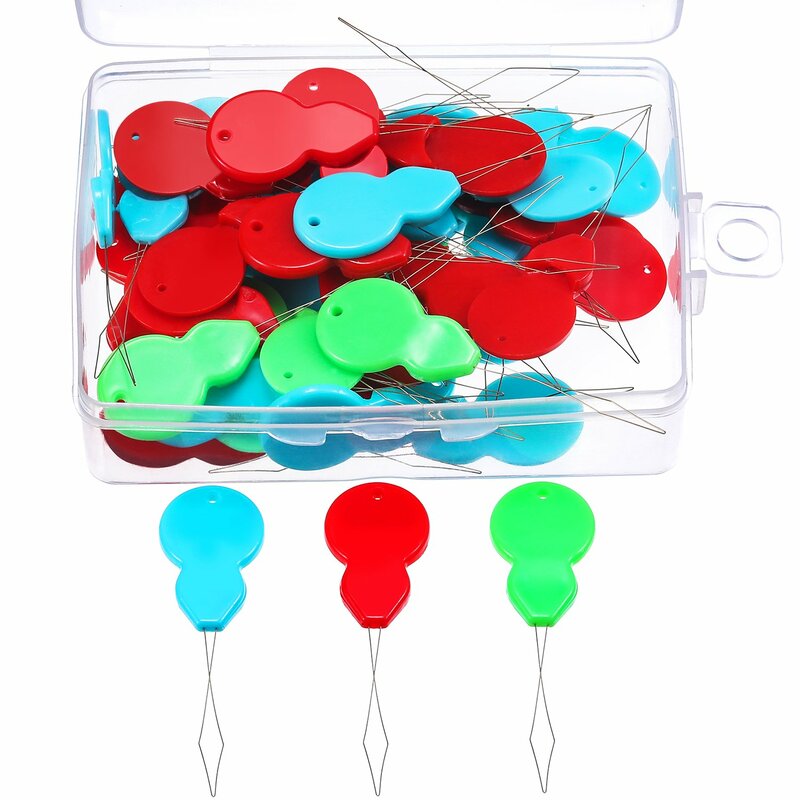 This needle threader allows you to thread thick and thin needles with ease. It also features a magnetic needle picker for getting those small hand-quilting needles off the table. 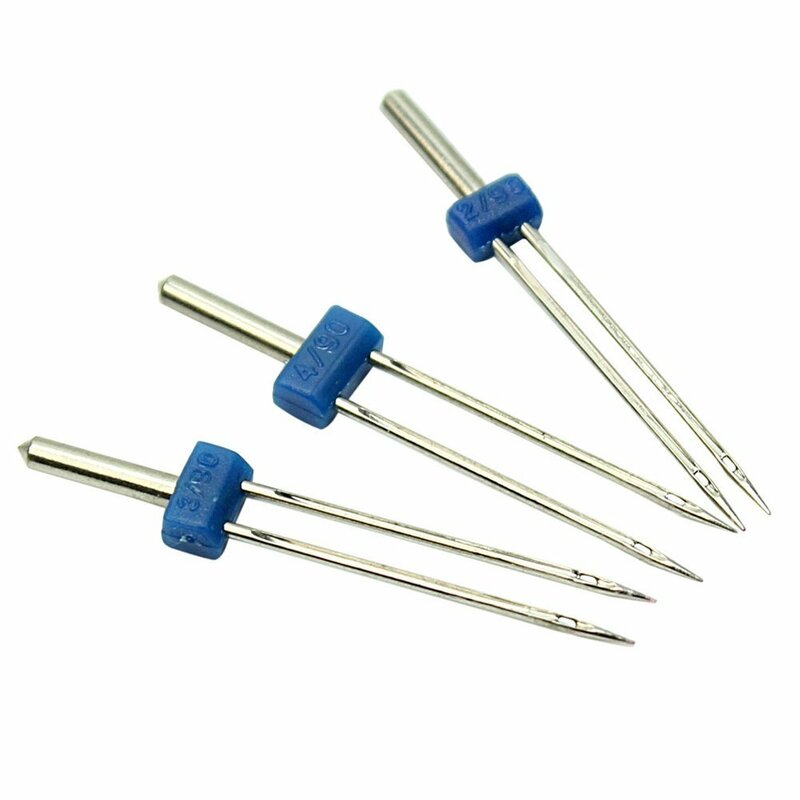 This needle threader is designed to thread needles from size 1 to size 11. 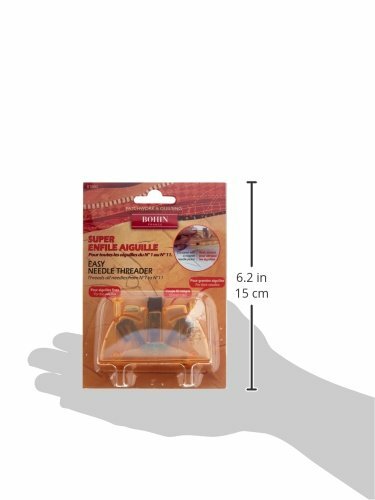 Needle threader measures approximately 3 by 2 by 1-1/4-inch. Imported. This handy gadget really worked well for me. I am doing quite a bit of needle turn applique with tiny little applique needles. I am using size 12 hand applique needles. I had a very hard time with threading these needles by hand. 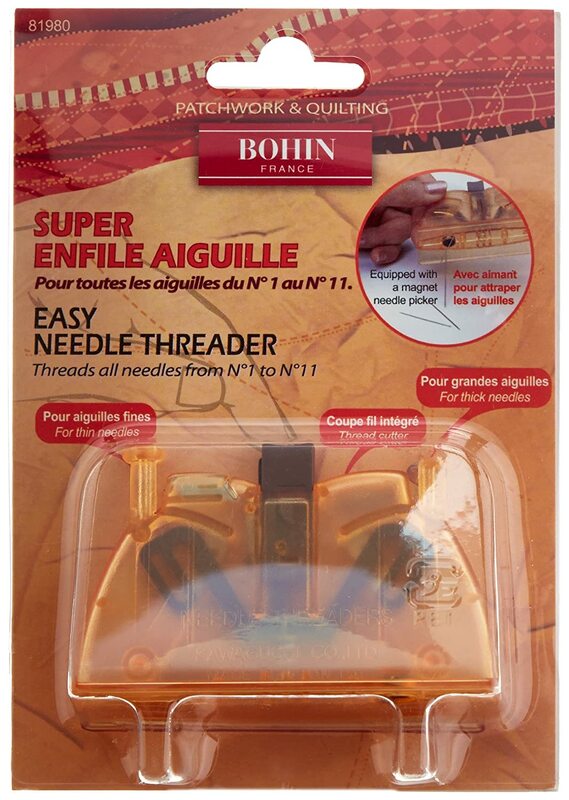 Out of desperation, I ordered the Bohin Super Automatic Needle threader. I was surprised at how well it works. There are two wells are either side of the threader, one for small needles and one for larger needles. You hold the needle with thumb and forefinger by the pointed edge and simply drop the needle into the appropriate well. In my case, it was the smaller well. Then you hold the thread taut and pull it through the thread holder. After this, you press the button on top of the threader and the thread exits in a small loop at the side of the threader. It is easy to grasp the loop of thread and pull it through. Then, you extract the threaded needle from the well. IMHO, this Bohin Automatic Needle Threader sure beats trying to thread small needles by hand. I am so glad I purchased this product. UPDATE-- I have owned this for about 7 months and I love this needle threader. I have been doing lots of hand embroidery, quilting and applique. This threader has saved me enormous amounts of time. There are very few times when the needle threader does not work on the first time through. I either give it a second time through OR move the needle to the opposite well. It has never failed to thread any needle that I have put into it. I am more than pleased with this product. 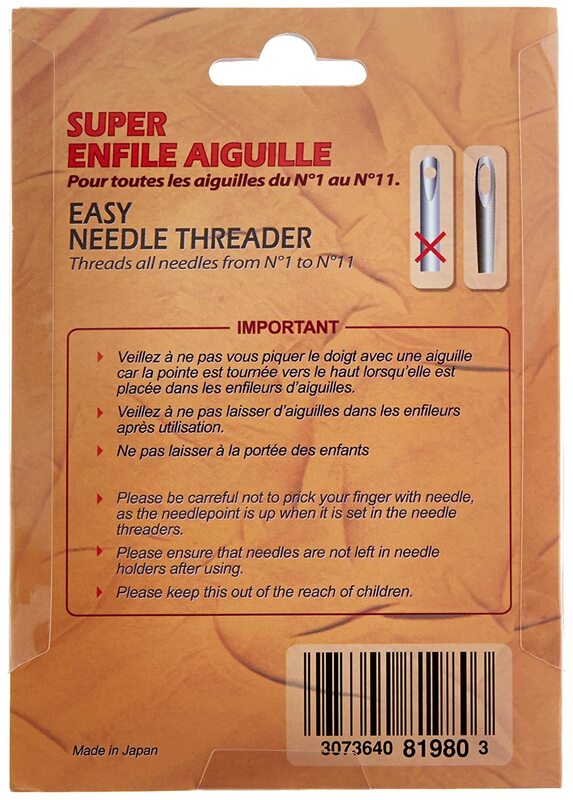 I'm very grateful to have such a reliable, handy, and efficient way to thread needles. This product was a big disappointment to me. 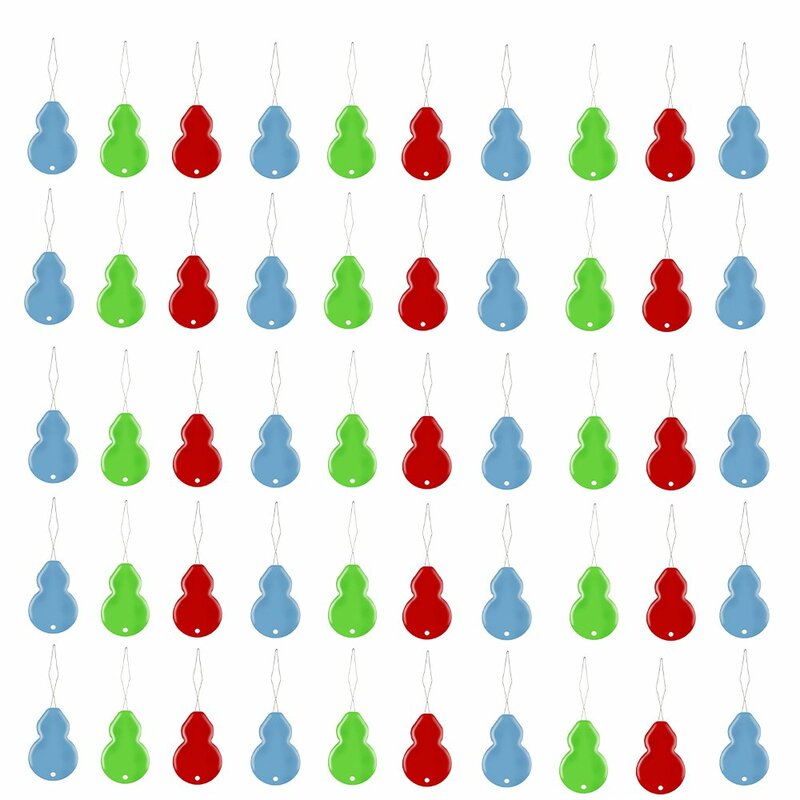 I was looking forward to a needle threading solution that would help me in my beading projects. This item could not thread an #11 Tulip needle (bought from the same vendor) using .006 Wildfire thread inserted in the small funnel. The package states that this threader works on #1-11 needles. One end threads small needles and/or silk thread, and the other end is for larger needles and/or cotton thread. I use the smaller end to thread quilting needles with cotton thread. Works great every time. It also has a thread cutter, and a magnet on the bottom for picking up needles. 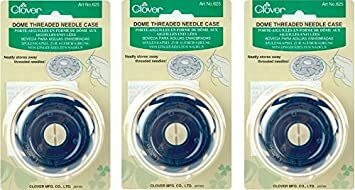 This needle threader is more versatile than the Clover brand I saw on Amazon. Even though this one is a little more expensive, it's worth it! 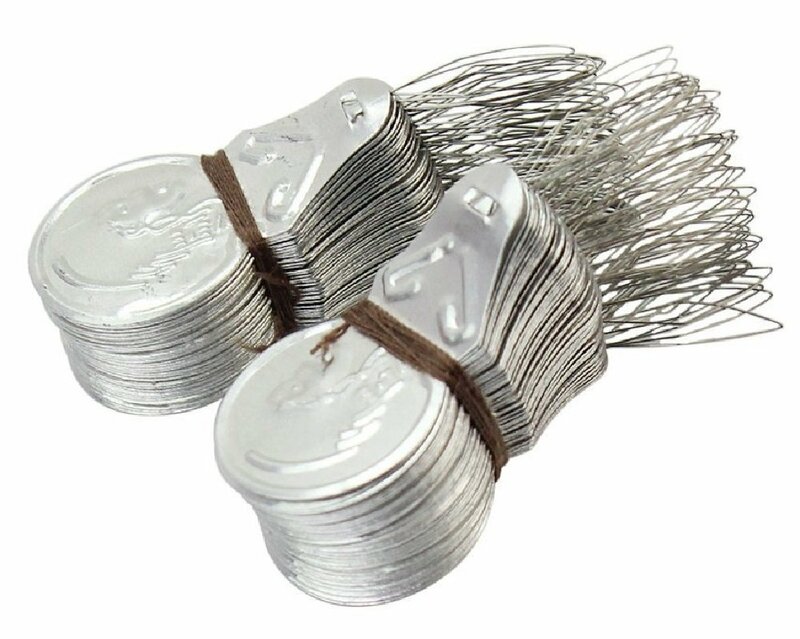 Two of my quilting friends have ditched their Clover threaders in favor of this after they saw mine. 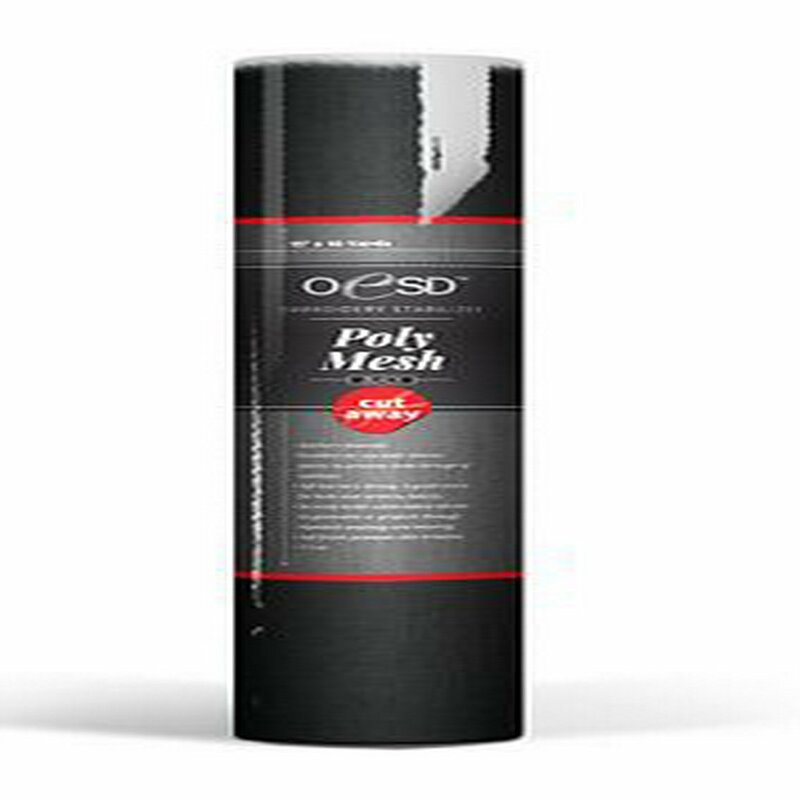 I can't say enough nice things about this product. I love it!